Today is the day the World Health Organisation (WHO) set aside every year for cancer awareness all over the world–World Cancer Day. A part of the body, like the breast, the brain or the blood tissues, is said to have cancer when the cells that make it up multiply without some of them dying naturally to give room for the newly formed ones. Normally, cells in every part of the body have a limited time during which they divide to form double versions of themselves. But after a certain period of time, known as their lifespan, these cells die and are replaced by new ones from special cells in that body part called stem cells (they are virgin cells that have the capacity to convert into any type of cells suited for specific functions). However, cancer occurs when these cells that are supposed to die at the end of their lifespan become immortal (they want to live forever); in addition, the immortality of these cells does not stop the virgin cells in that body part from converting to the immortal cells’ newer forms. At the end of the day, that body part has far much more number of cells than it can accommodate, leading to an overall increase in its size (like a breast lump or mass) which may or may not be obvious to the human eyes. Because the affected body part has more cells than it can accommodate, the need for more blood supply to that part increases. This leads to increased formation of new blood vessels to meet the demand. But after some time, the rate of increase in the number of immortal cells outpaces that of the formation of new blood vessels. The affected body part continues to increase in size as more of its cells become immortalised. With this increase in size comes compression of nearby normal, functional cells and tissues, leading to a disruption of their activities. With time, these immortalised cells start looking for ways to survive because of the reduced blood supply to them. To survive, some of them start sneaking out into the veins carrying blood away from that affected body part, and as the blood makes its way to the heart and lungs, these cancer (immortalised) cells can lodge in these organs or wait in the blood until the heart starts pumping back the now oxygen-rich blood from the lungs to all parts of the body. From here, the cancer cells can be taken to the brain, kidneys, spinal cord, the stomach and intestine and so on. In these places they disrupt the normal functions causing symptoms like headaches, vomiting, blood in faeces, breathing problems and so on. Plus, their hunger to keep multiplying continues meaning more nutrient requirements. This causes the body to break down its protein stores such as the muscle fibres to nutrients which will be supplied to fuel the multiplication of the cancer cells. Breakdown of muscle fibres of the body manifests as gradual but progressive weight loss in the affected person. Parents should vaccinate their children against hepatitis B virus which causes liver cancer, and HPV which causes cervical cancer in women. 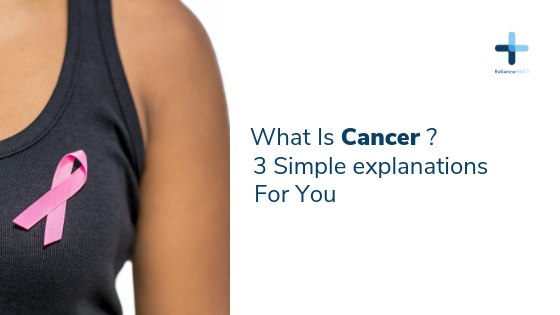 Participate in cancer screening programmes like those for breast or cervical cancer.